Beheading Video Sends Brutal 'Message To America': What Does ISIS Want? The Islamic State, formerly known as the Islamic State of Syria and Iraq, published a horrific video on Tuesday purportedly showing the beheading of U.S. journalist James Foley, calling it a “Message to America.” The 50,000-strong Islamic militant group threatened to do the same to another American journalist in Syria, identified as Steven Sotloff, if the Obama administration does not meet its demands. What exactly does ISIS want? The extremists' immediate goal was to use the shocking images to intimidate the Obama administration into halting U.S. airstrikes on ISIS strongholds in Iraq. 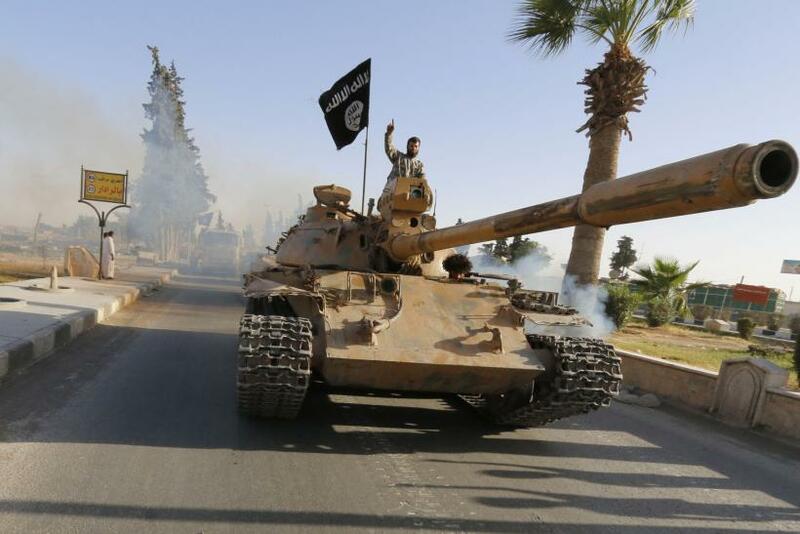 These airstrikes seem to be impeding ISIS’ ultimate objective: to maintain and expand its self-declared caliphate. The extremists have already seized large parts of Iraq and Syria, taking control of several of the towns’ main resources, like wheat and oil fields. They had previously seized the largest dam in Iraq, and Foley’s beheading came just a day after U.S. and Iraqi forces successfully regained control of the Mosul dam. President Obama authorized targeted airstrikes around Erbil in Iraqi Kurdistan two weeks ago when the militant group seized multiple towns around the city and threatened to kill thousands of the Yazidi minority group. The airstrikes have made “important progress,” but “the work is not yet done,” Obama said in a press briefing on Monday. After the initial airstrike announcement, the Islamic State vowed retaliation for the airstrikes, calling for sleeper-cell attacks on U.S. interests worldwide through its social media accounts. Part of creating the caliphate, for ISIS, means eradicating everyone who does not adhere to their rule of “convert or die.” Although ISIS has still managed to execute hundreds from the Yazidi minority in Iraq, the U.S. airstrikes have helped free many Kurds from a death at ISIS’ hands. In Syria, ISIS has made huge gains in eradicating those they call "infidels" this week. Since last Wednesday, the group seized Turkman Bareh, Akhtarin, Dabiq, al Masoudia and al Ghouz in northern Syria, close to Aleppo. Meanwhile, the Islamic State killed 700 members of the al-Sheitaat tribe in eastern Syria on Saturday. So far ISIS has seized territory in Iraq and Syria that is about the size of Belgium, but as the video released today shows, their plans to expand the caliphate don’t end there. After all, one of the group’s former names was the Islamic State of Iraq and the Levant, which includes Syria, Jordan, Lebanon, Palestine and Israel. 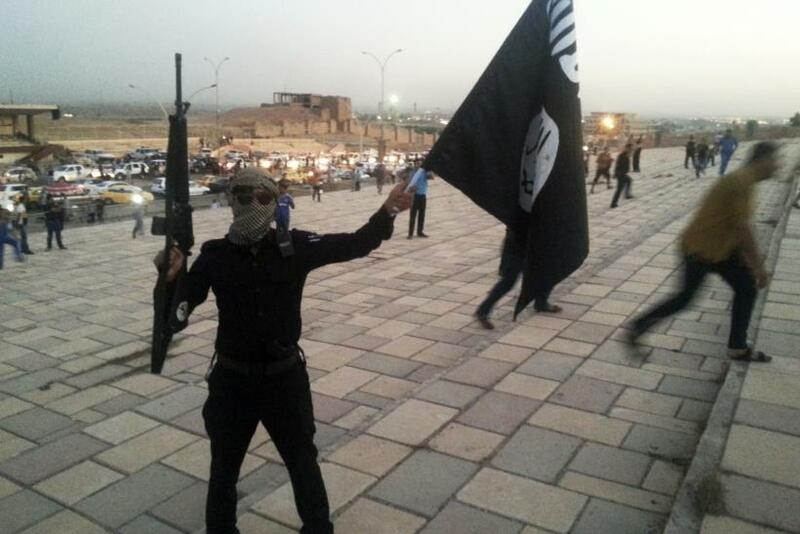 In June, a pro-ISIS rally was held in the Jordanian city of Ma’an. In early August, media outlets all over the world published a map purportedly showing how ISIS wanted to conquer parts of Europe in the next five years. The map was later debunked. In terms of territorial expansion, it remains to be seen whether ISIS "is really a group just devoted to the regional goals of establishing an Islamic caliphate, or if at the same time they are developing global -- not just ambitions but capabilities -- to attack the West," CBS News Senior National Security Analyst Juan Zarate told CBS news. While ISIS probably doesn’t have any concrete plans for European expansion, the view that the group may be a serious threat to U.S. security was brutally borne out on Tuesday when the group murdered U.S. journalist Foley.